Given that all settings of your mail accounts are correct it might happen that your iOS device cannot receive or send mails although it connects successfully to the Internet. I experienced this issue today on my iPhone 4S running on iOS 8.4.1 although this update was already installed weeks ago. The following steps solved the problem but I cannot exclude that it will return. and tap on Reset Network Settings. Mailing should work properly now. For me it worked also after re-activating Wi-Fi Networking. Strange, isn’t it? 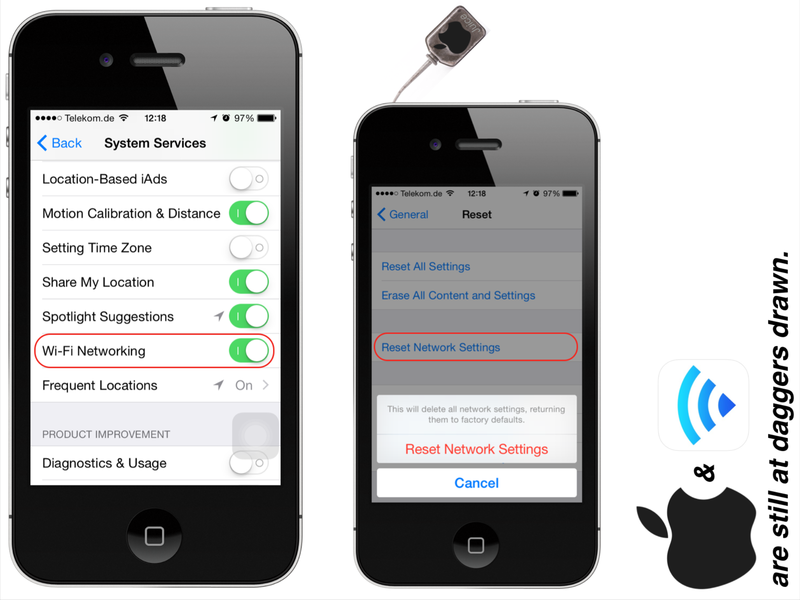 If Location Services is on, your device will periodically send the geo-tagged locations of nearby Wi-Fi hotspots and cell towers in an anonymous and encrypted form to Apple to augment Apple’s crowd-sourced database of Wi-Fi hotspot and cell tower locations. Maybe the problem already can be fixed with just turning off Wi-Fi Networking. If not you must reset the network settings which means that credentials to join networks are deleted from your device’s memory. Onetime you must manually choose a Wi-Fi network and enter the credentials. it’s annoying to be faced with Wi-Fi issues since years. I hope we will see a *final fix* in iOS 9. If not I will ask Siri to stop working for you. She already told me “OK, maybe not.”. It’s antediluvian to periodically refill an iThing with fresh settings.